Don't blink! Seriously, this first year is going to FLY by! You'll be swooning over your precious new bundle one minute, then singing happy birthday for one year the next minute!! And, oh, how much they change in one single year! The first year is unlike ANY other year as your little love goes from tiny newborn details, to holding their head up alone, sitting up alone, propping and standing....are you crying thinking about it yet? We feel ya, fellow-mom! 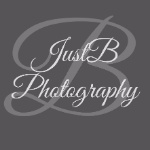 Fret not, though, because at JustB we can capture all those changes for you!! Our First Year packages commit you to 4-5 photo sessions throughout the first year at newborn, 3 months, 6 months, 9 months and 12 months. During these sessions, we strive to capture every new detail that makes your baby unique! First Year sessions can be held at the client's home or outdoor locations, and all use natural lighting. The only thing we love more than capturing your newborn is getting to see him/her growing up through the lens...freezing time for you all along the way! For pricing or to schedule a session, contact us here.